I am in the midst of a year-long project of photographing an abandoned plum thicket near my home. In September I exhibited work from the series-in-progress. This was part of a two-person exhibit in Washburn, WI held with an art friend, Paula Bunch. 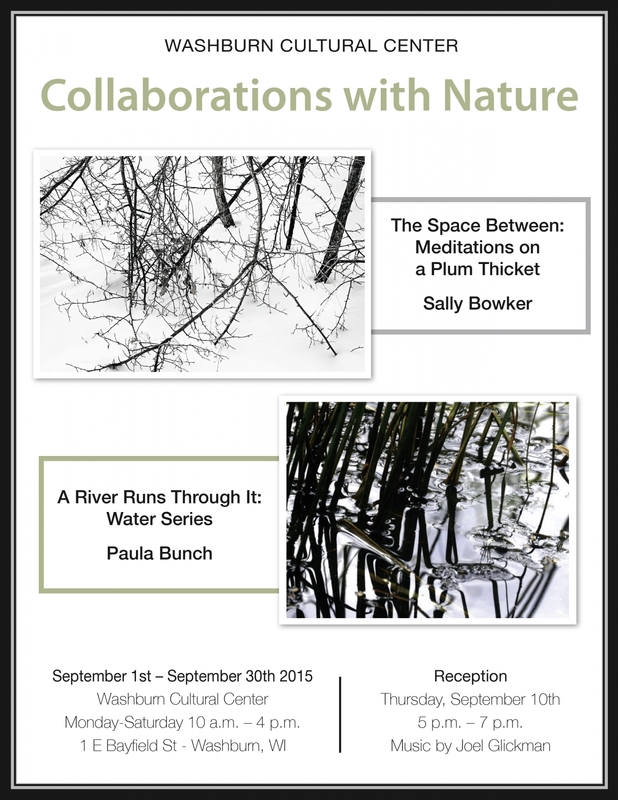 Essentially it was two solo exhibits with a common theme so we titled the whole “Collaborations with Nature”. We had a fun reception on September 10th, and a highlight for me was live clarinet music by Joel Glickman. It matched the work in feeling and added to the conversational flow. I now want live music to be part of every reception I ever have! See the works in the exhibit and read about the series.